Microsoft has renamed the MSN app to Microsoft News app on Android and iOS. The app also gets a redesign, and is available for free download on the App Store and Google Play. The app is powered by the same engine as MSN.com, and includes content from more than premium publishers and brands. The app is available in 28 languages, and sends across breaking news alerts on different selected topics of your interest. The Microsoft News app contains different sections like My News, Top Stories, Technology, Opinion, and more. The app is 32MB in size on Google Play and 54.2MB in size on the App Store. The rebranded Microsoft News app has lost the MSN acronym, but the website still remains MSN.com. Microsoft News also powers news on Microsoft Edge, the News app in Windows 10, Skype, Xbox and Outlook.com. 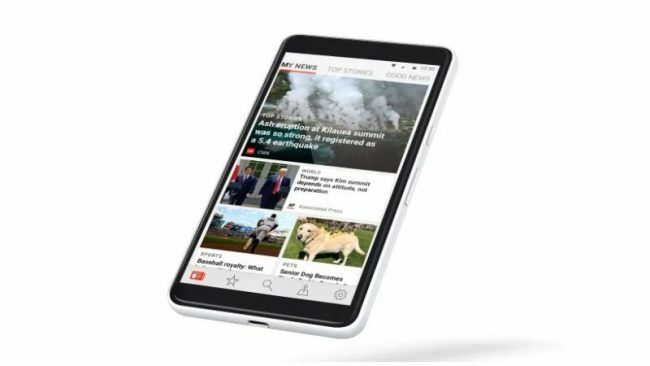 The company said app the has content from more than a thousand premium publishers and 3,000 brands in all major global markets – like USA Today, The New York Times, FOX News, The Washington Post, The Guardian, Le Monde, Die Welt, El Pa~CHECK~s, BBC News, Kyodo News, and many more. “Microsoft News represents the ways we keep people informed across the web, phone and PC, using our long-tested approach of curating news via publishing partnerships, human editors, and AI,” saidRob Bennett, Editor in Chief of Microsoft News, in a blog post. Apart from the rebranding, the app has been completely redesigned to look more modern. It sports a grid-like structure, with different sections that can be accessed by swiping left. Sections like Top Stories, World, Opinion, and Technology can be accessed, or the first section called My News has a curated list based on the interests you select. There is also a Local News tab that gives you news around where you are, after detecting the location you are in. To change the language, you need to head to Settings, and choose from the 28 language options out there. For Indians, you can choose to read the news in Hindi as well. There is also a dark mode that you can toggle on, if you so prefer. As mentioned, the rebranded and redesigned Microsoft News Android and iOS apps are available for free download, and you can head to the App Store or Google Play to install it on your phone.